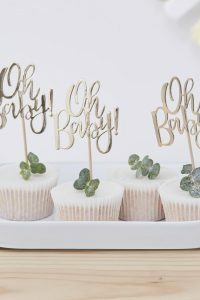 These quirky cake toppers will be loved by your friends and family.With phrases such as ‘Special Delivery’ and ‘Cutie Pie’, your guests will absolutely adore them! Pop them individually into some cupcakes, or cluster a few onto a cake. 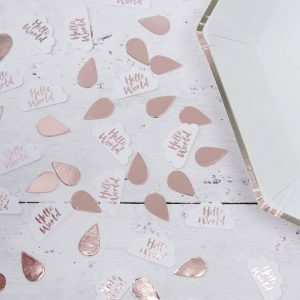 Maybe keep a few your those party favour bags your are planning!? 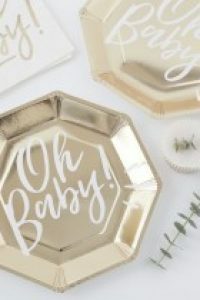 A little T-shirt topper from this set would make such a charming keepsake! Each pack comes with 24 cake toppers with 12 designs to play around with. That vintage floral print will be admired by all! Do you like florals? Why not check out these sensational daisy pom poms! 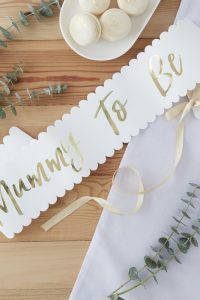 Have the brightest and most beautiful baby shower in town.